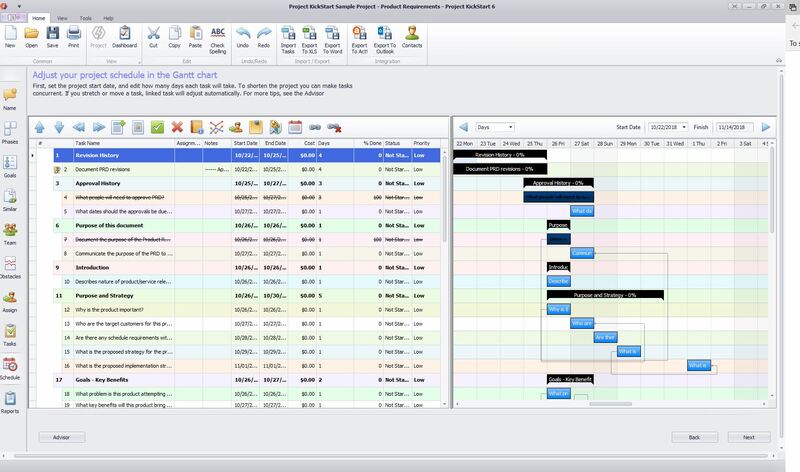 Project KickStart Pro can automatically put in dependencies between tasks in your Gantt chart. These show up as links between tasks. You can adjust these dependencies and use them to handle scheduling demands, delays, and surprises without manually modifying every task in your project. Dependencies let you make adjustments as events change, giving you a more robust schedule and the opportunity to conduct what-if analysis. Using dependencies in your Gantt chart, you can gain ultimate control of you resources and finances. A picture is worth a thousand words! A dynamic picture is priceless! Gantt charts are a visual display of your project schedule. Time duration is represented by bars and milestones. Easily customize your chart by using color and other scheduling options. We also provide you with free Gantt chart software templates and examples. 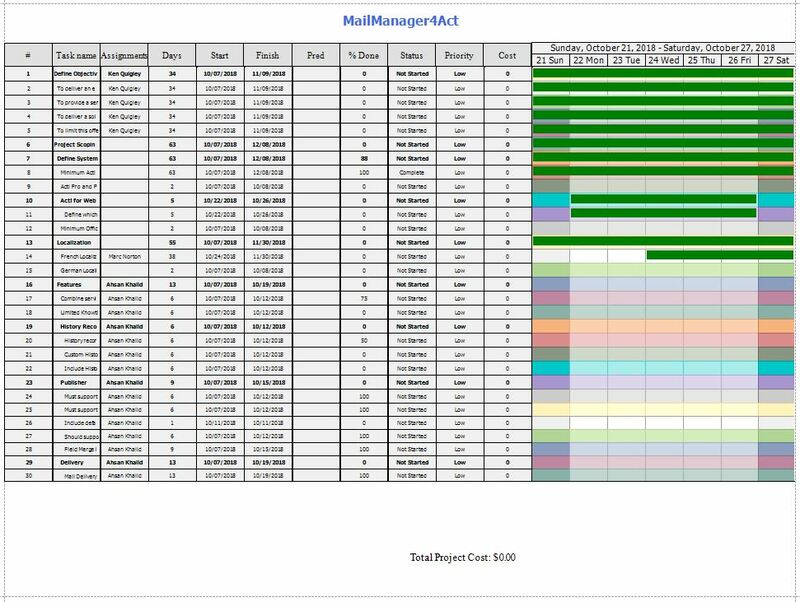 Export data to Microsoft Office Suite, MindManager, ACT! Project KickStart 6, with dependencies in the Gantt chart, is a sophisticated scheduling and project management tool is designed to make complex project scheduling easy and straightforward. Use dependencies to handle scheduling demands, delays, and surprises without modifying every task in your project. Dependencies let you make adjustments as events change, giving you a more robust schedule and the opportunity to conduct what-if analysis.